The Outdoor Channel, available on DISH Network, looks to provide lessons and experiences for people who have a love affair with the outdoors every day of the year. 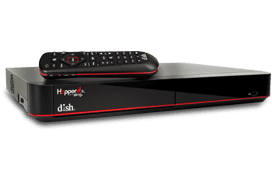 The Outdoor Channel on DISH TV is a nice alternative for those days when you, unfortunately, can't swing a hunting, fishing or off-roading trip. Get your fill of the outdoors 24/7 with the Outdoor Channel, available on DISH Network Satellite TV.